At Kenneth Sloane, DDS, we know that as many as one in 88 children today have some form of autism, a complex brain disorder that affects a child's ability to communicate or form relationships, and makes a child appear distant, aloof, or detached from other people or surroundings. Autism varies widely in symptoms and severity, and some people have coexisting conditions such as intellectual disability or even epilepsy. That is why Dr. Kenneth Sloane and our team are specially trained to provide dental care to the entire special needs community, including autistic children. We know that a visit to the dentist with an autistic child can be difficult. In addition to the common fears associated with strangers, there are also unfamiliar sounds, sensations, bright lights, and tastes with which your child may not be comfortable. We work with parents to make sure visiting the dentist is not so traumatic for our autistic patients. Dr. Kenneth Sloane and our team also know that patients with autism may be more interested in equipment and instruments than in us. We show our patients every piece of equipment we are going to use in a way that they can understand. We also allow a patient to sit in a parent's lap in the open bay if he or she is not feeling at ease. We want your child to enjoy getting to know us and to be comfortable while under our care. A pleasant, comfortable visit at our Closter, NJ office builds trust and helps put your child at ease for future appointments. Before a visit, we ask parents or guardians to bring their child's favorite toy, comfort item, music, or other coping device their child requires. We have a caring and compassionate team and know how to help autistic children acclimate themselves to a dental environment. We may not get everything done at the first visit, but we are able to schedule several appointments so that your child can get used to our office, the dentist, instruments, and our staff. Children, especially those afflicted with autism, are not born with a fear of the dentist, but they can fear the unknown. Our team at Kenneth Sloane, DDS genuinely cares for our patients beyond their teeth, and are more than happy to discuss any concerns you may have, as well as answer questions about your child's ongoing dental treatment. Please give us a call to learn more or schedule an appointment with Dr. Kenneth Sloane. The community health awareness group Oral Health America has reported that 82 percent of adults are unaware of the role that infectious bacteria can play in tooth decay or cavities, and almost three out of five children aged 12 to 19 have tooth decay. Since June is National Smile Month, Dr. Kenneth Sloane and our team at Kenneth Sloane, DDS thought we’d remind our patients about the importance of good oral hygiene visits between office visits. Extracting the third molars does not have any effect on your actual wisdom … and Dr. Kenneth Sloane and our staff are sorry to say that holding on to them can’t make you smarter, either. So if you somehow feel that you became wiser and smarter when your wisdom teeth appeared, chalk it up to age rather than teeth. Today, while there is certainly an air of remembrance on Memorial Day, it has become more a day of spending time with family, friends, and other loved ones. This day is also heralded as the start of summer, with many schools finishing for the year around this time. 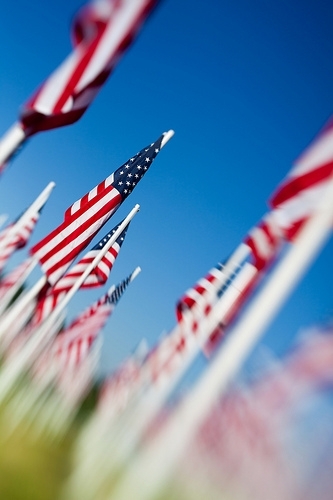 Our team at Kenneth Sloane, DDS remembers it as a day to take solace and remembered those lost. From community parades in the Closter, NJ area, backyard cook-outs, and fireworks to formal ceremonies, Memorial Day is commemorated in many different ways. No matter how you choose to spend this day, take a moment to remember those who've lost their lives in an effort to preserve our freedom.